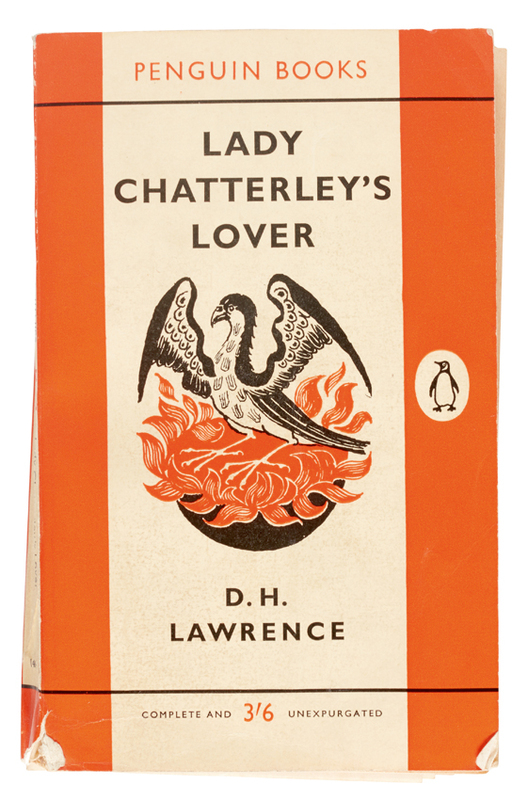 A copy of DH Lawrence’s infamous novel Lady Chatterley's Lover, used by the judge who presided over the 1960 obscenity trial is coming to auction at Sotheby’s in London next month. The trial is often deemed as a defining moment in British social history, marking the end of one era and the move toward a more liberal and permissive society. The judge, Sir Lawrence Byrne, carried the book into the trial in a damask bag stitched by his wife, Lady Dorothy Byrne, to hide it from view. She read and annotated his copy ahead of the trial at the Old Bailey. 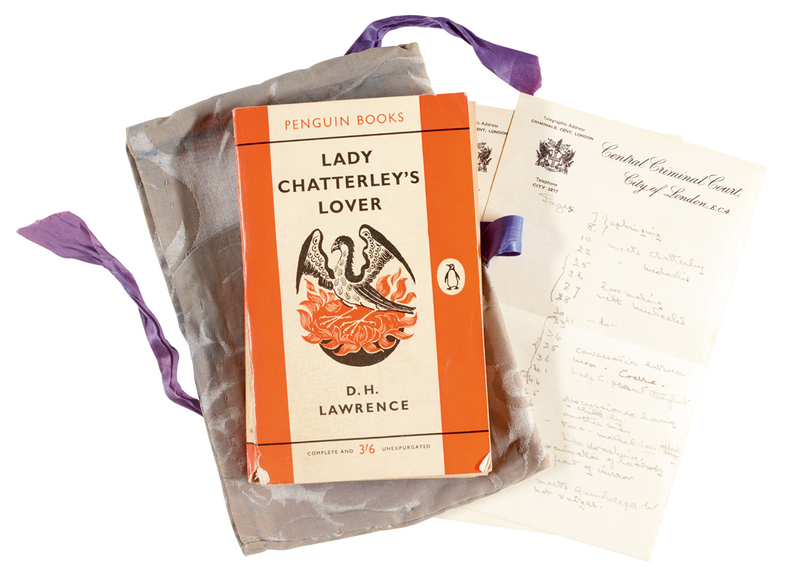 The judge, Sir Lawrence Byrne, carried the book into the trial in a damask bag stitched by his wife, Lady Dorothy Byrne. The book has annotated notes and she also made notes on Central Criminal Court-headed notepaper on her opinion of the language used in the book. The acquittal of the book’s publisher Penguin, tried under the Obscene Publications Act (1959), gained huge public attention and it went on to sell two million copies of the book within two years. This copy of the book was bought more than twenty-five years ago at auction by Christopher Cone as a present for his partner, the late Stanley J. Seeger, at the time establishing the highest price ever recorded for a paperback sold at auction. It is now being offered with an estimate £10,000-15,000. 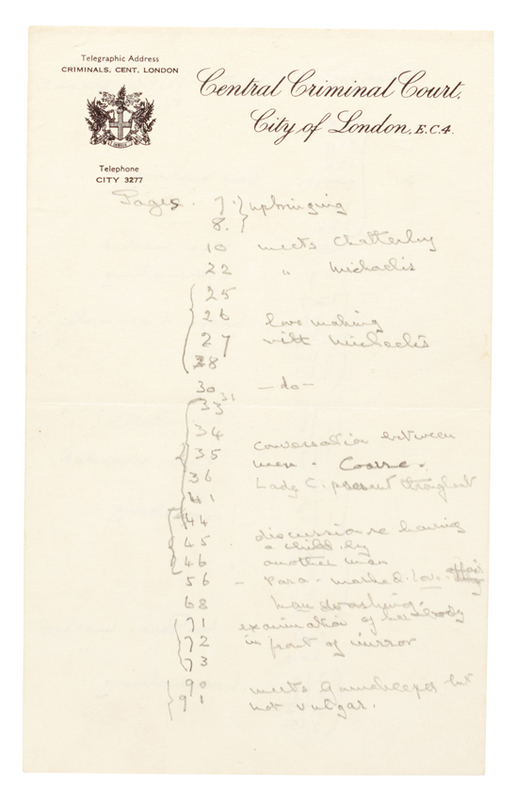 It is being sold as part of a sale from the home of Cone and Seeger at Sotheby’s on October 30 in London. Sotheby’s described the sale, A Private View: Property from the Country Home of Christopher Cone and Stanley J. Seeger, as “encyclopaedic in content, with objects ranging in date from the 5th century A.D. to the second half of the 20th century”. Estimates start at £100 and climb to £40,000, and is expected to bring in the region of £1m. David Macdonald, Sotheby’s specialist in charge of the sale, said: “This collection enthrals, amuses and ultimately celebrates the taste of two men who hold a unique place in the landscape of British collecting. The Stanley J. Seeger collection has been sold off in multiple auctions over the last 25 years, starting with an auction of 88 works by Pablo Picasso in New York in 1993. Other sales included Contemporary art offered in Milan and 18th-20th century British pictures in London. After Seegar died in 2001, Sotheby’s offered over 900 lots of collectables and books in two instalments in 2014 – the items included Al Capone’s cocktail shaker and the working manuscript of Joseph Conrad’s early abandoned novel, The Sisters from 1895-96.